Open-top 10 lb. 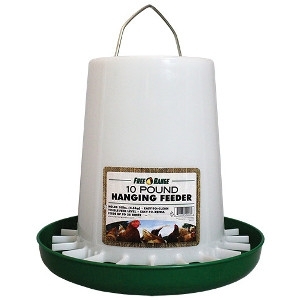 capacity feeder is made from long-life plastic and designed for fast filling, easy cleaning and minimal waste of feed thanks to the no-scratch-out twist lock base. Feeds 10-25 birds.